Studies have shown that apolipoprotein M (apoM), the main carrier of sphingosine-1-phosphate (S1P), is closely related to lipid metabolism and inflammation. While there are many studies on apoM and lipid metabolism, little is known about the role of apoM in inflammation. Atherosclerosis is a chronic inflammatory process. 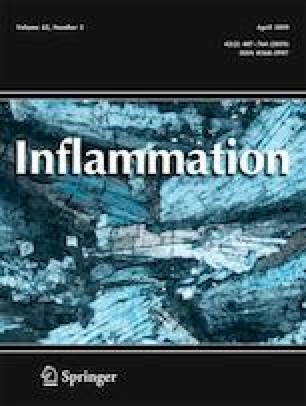 To clarify what role apoM plays in atherosclerosis, we used oxidized low-density lipoprotein (ox-LDL) to induce an inflammatory model of atherosclerosis. Our preliminary results indicate that ox-LDL upregulates the expression of S1P receptor 2 (S1PR2) in human umbilical vein endothelial cells (HUVECs). Ox-LDL-induced HUVECs were treated with apoM-bound S1P (apoM-S1P), free S1P or apoM, and apoM-S1P was found to significantly inhibit the expression of inflammatory factors and adhesion molecules. In addition, apoM-S1P inhibits ox-LDL-induced cellular inflammation via S1PR2. Moreover, apoM-S1P induces phosphorylation of phosphatidylinositol 3-kinase (PI3K)/Akt, preventing nuclear translocation of nuclear factor-κB (NF-κB). PI3K-specific inhibitors and Akt inhibitors suppress apoM-S1P/S1PR2-induced interleukin-1β (IL-1β) and tumor necrosis factor-α (TNF-α) release and affect nuclear translocation of NF-κB. In conclusion, the results demonstrate for the first time that apoM-S1P inhibits ox-LDL-induced inflammation in HUVECs via the S1PR2-mediated PI3K/Akt signaling pathway. This finding may aid in the development of new treatments for atherosclerosis. The online version of this article ( https://doi.org/10.1007/s10753-018-0918-0) contains supplementary material, which is available to authorized users. The authors sincerely acknowledge the financial assistance provided by the National Natural Science Foundation of China (No. 81770490) and the Construct Program of the Key Discipline in Hunan Province (Basic Medicine Sciences in University of South China).